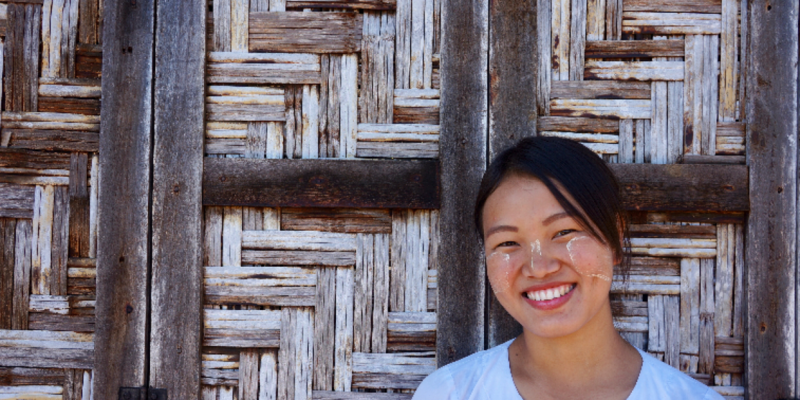 Roi San, a 24-year old woman, is serving as a volunteer teacher at a Catholic school in the town of Myitkyina in Myanmar’s Kachin State. She began teaching in this school two years ago after graduating from a teacher training course supported by the Jesuit Refugee Service (JRS). She truly cares and understands the importances of investing in children for the betterment of their futures. To achieve her goal, she did JRS’s 9-month Teacher Training Program, the first 7 months of which are theoretical learning, followed by 2 months of practicum. Usually, the practicum is done in one of the biggest camps for internally displaced persons (IDPs) in Myitkyina. There, the student teachers create relationships of love and hope with the children, and they grow their confidence in teaching. I was interested in teaching young children. I wanted to have an experience as a volunteer teacher educating young children in very remote areas, where the government cannot reach. Serving people in need has enriched Roi San’s life. “I learned a lot from the teacher training course. It improved especially my self-confidence. I also learned how to coordinate with other people and organizations. I know that all these skills I learned from the training, will not only be useful in teaching but also will help me to grow as a person,” said Roi San. The happiest time for me is when the students and I are playing games together and when the learning objectives I set for students are achieved.